National home sales are projected to fall to a near decade low in 2019, as rising interest rates and strict mortgage stress-test rules continue to put a damper on homebuyer sentiment, according to the Canadian Real Estate Association. The group, which represents more than 125,000 realtors, is projecting that home sales across the country will decline to the lowest point in nine years but stay little changed from 2018, falling only by 0.5 per cent to 456,200 units. 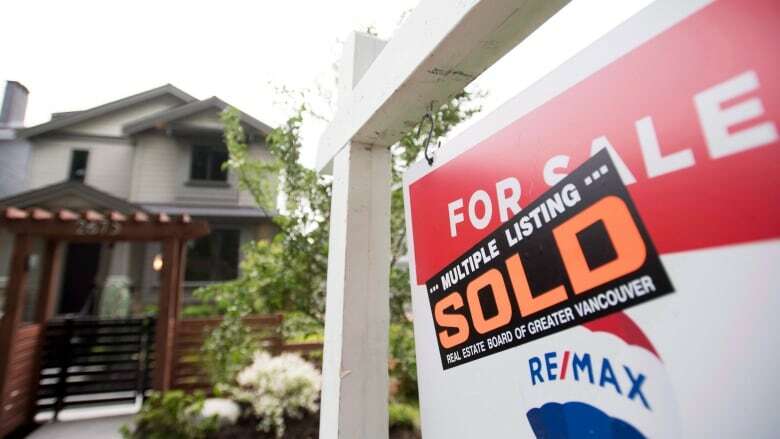 CREA is projecting that the national average price for a home sold through its multiple-listing service system will rise 1.7 per cent to $496,800 in 2019. The association forecasts a rebound in sales activity in Ontario and continuing gains in Quebec. Sales were anticipated to fall next year in Alberta and British Columbia. "In 2019, home sales activity and prices are expected to be held in check by recent policy changes from different levels of government, in addition to additional interest rate increases," the group said in a forecast released Monday. CREA has also revised down its projections for 2018, now saying that it expects national home sales will decline by 11.2 per cent to 458,200 units in 2018 — the lowest level in five years. The group says B.C. and Ontario will make up the majority of this year's decline, while sales in Alberta, Saskatchewan, Manitoba and Newfoundland and Labrador will also fall to multi-year lows. "The national forecast has been revised lower … as an anticipated rebound in sales in British Columbia has so far failed to materialize, the recovery in Ontario sales this summer has now run its course and sales activity in Alberta has edged lower. These developments were partially offset by stronger-than-expected sales activity in Quebec," it said in the report. The association noted that sales in Quebec and in the Maritimes, particularly New Brunswick, were still anticipated to remain "historically strong." National average home prices were slated to end this year down 4.2 per cent to $488,600 from 2017. CREA attributed 2018's price drop to a 2.6 per cent year over year decline in Ontario as fewer higher-price homes were put up for sale in Toronto, especially during the spring market, which often sees a price surge. In Toronto, the decline in average home prices this year is stark in contrast because the housing market in Canada's largest city had been "unusually strong" in 2017. "As we look to 2019, the major battle lines seem fairly clearly drawn, with the market still supported by strong population growth on the one side, and challenging affordability (past price gains and rate rises) on the other," said Doug Porter, chief economist at BMO Economics in an analyst note. "While we expect sales activity to stabilize next year... we nevertheless anticipate that prices will slow even further to gains likely below that of inflation." Porter also pointed out that there were a lot of variances regionally in relation to average sales and prices. For instance, the housing market in Ontario's medium-sized cities continued to show strength, with both London and Windsor, Ont., posting double-digit gains in 2018. While smaller cities in Ontario, Quebec and Maritimes registered price gains that put that in a "healthy" balanced market. Oil price declines have also wreaked havoc on housing prices in Western Canada, while the largest sales decline this year was in B.C., which has largely been attributed an increase in the foreign-buyers' tax. Meanwhile, in separate release of monthly sales data, CREA reported that home sales across the country fell for a third month in a row in November, as two of what had been the hottest markets, the Greater Toronto Area and the Greater Vancouver Area, reported lower activity. Canadian home sales through its multiple listing service system dropped by 2.3 per cent last month compared with October as the number of transactions fell in more than half of all local markets. Sales were down year over year in three-quarters of all local markets including the GTA, the Hamilton-Burlington, Ont., region, B.C. 's Lower Mainland and Calgary. The group said the number of new listings also saw a decline, falling 3.3 per cent in November. The drop came as the average price for a home sold last month dropped to $488,000, down 2.9 per cent compared with the same month a year ago. Excluding the Greater Toronto Area and the Greater Vancouver area, the average price of a sold home was just under $378,000. "The decline in home ownership affordability caused by this year's new mortgage stress-test remains very much in evidence," said Gregory Klump, CREA's chief economist in a statement. "Despite supportive economic and demographic fundamentals, national home sales have begun trending lower. While national home sales were anticipated to recover in the wake of a large drop in activity earlier this year due to the introduction of the stress-test, the rebound appears to have run its course."